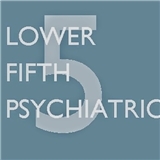 Lower Fifth Psychiatric (New York) - Book Appointment Online! Central to my treatment philosophy is the concept of mutualism as opposed to that of dualism (or nature versus nurture / mind versus brain). By mutualism, I suggest that the mind affects the brain and the body just as much as the body and brain affect the mind. This theory has been validated in numerous clinical studies which demonstrate through neuroimaging that therapy can affect the levels and distribution of neurotransmitters in ways similar to that of antidepressants. A most competent and kind mental healthcare professional. Soft spoken and made me very comfortable. Cozy office. Highly recommended.